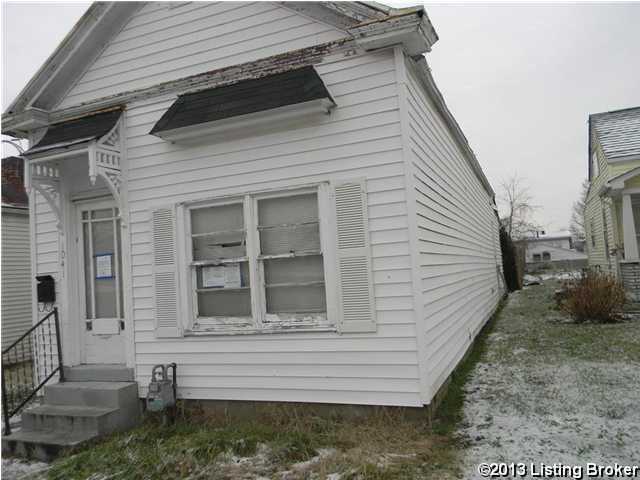 Great investment potential in this 3 bedroom, 1 bath shotgun home. Bank of America pre qualification required on all offers with financing. Proof of funds required on all cash offers. Bank of America employees, spouses or other related family members not eligible to purchase this home. Bank of America Buyer's Acknowledgement & Disclosure to accompanied any offer. 1041 Charles St, Louisville KY 40204 is a Home, with 3 bedrooms which is recently sold, it has 960 sqft, < 1/4 ACRE sized lot, and Street parking. A comparable Home, has 3 bedrooms and 3.5 baths, it was built in and is located at 2124 Grinstead Dr Louisville KY 40204 and for sale by its owner at $ 397,500. This home is located in the city of Louisville , in zip code 40204, this Jefferson County Home, it is in the NONE Subdivision, and ORIGINAL HIGHLANDS are nearby neighborhoods.